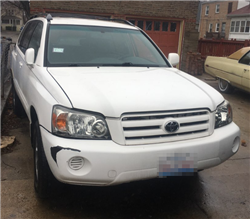 Cash for Cars in Illinois - We Buy Cars Fast! 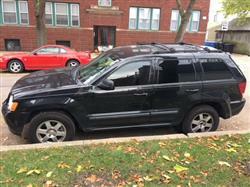 Selling your car in Illinois is like a one-on-one match with the 1998 Chicago Bulls: tough! You're going to get bombarded from all angles, like random phone calls and texts from strangers at all hours of the day. You're going to spend weeks searching for a buyer with the right offer. More than likely, you're going to sell it after you've spent too much time and effort, and to a buyer who is lowballing you. CarBrain is on your team! We’re suited up and ready with the alley-oop to help you sell your car today! We have service throughout most parts of Illinois, and we can make you an almost instant offer for your car. 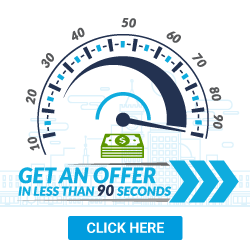 Most of our offers are ready in just 90 seconds! Step onto the court - click here and get your offer today! CarBrain can purchase almost every make and model sold in the United States. We have coverage throughout most of Illinois. We’ll buy your car in Chicago, Naperville, Rockford - nearly anywhere in the state. 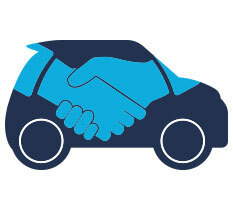 We’ve used our 30 years of car-buying experience to develop a smart way to sell your car. With guaranteed offers and free towing, there's no better way. Follow our easy step-by-step process to get your offer. We can make an offer on most cars almost instantly. You would hope that all car buyers were honest and straightforward. Unfortunately, they're not. Buyers these days come in all forms, shapes, and sizes, and have attitudes much bigger than their offers. They all have one thing in common though, and that’s to make sure they get the lowest price from you. They do not care for your needs or for your time. To them, your car is just another piece of metal on the street. You have dealers and private buyers. They might offer you more than a junkyard. But beware - dealers have ways to manipulate the numbers you see. 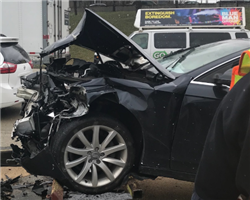 You might think you're getting a good deal on your trade-in when in reality, it isn't. All the extra money you're supposedly getting from them on the trade-in is just tucked away somewhere else as a hidden fee in the deal. And selling to private buyers means you’ll be getting calls from strangers at all hours of the day and night. These private buyers are famous for wasting your time with low, insulting offers and frustrating negotiation games. Do you enjoy giving away valuable items for free? If yes, then junk and scrap yards are your way to go. They come to you with their ‘cash for cars’ offers when, in reality, they are just paying for the salvage metal value. You’ll be selling your car so cheap that you're practically giving away your car for free. We have seen these buyers get away with this time and time again. If you're done playing games then CarBrain is for you. We can get you cash for your car today! We have over 30 years of experience in the car business and we know the smart way to sell your car. We understand that you don't like haggling or fighting over a price. We will make you a guaranteed offer for your car. We will provide you with free towing and pay you for the car when we pick it up. Don't pinch yourself because you’re not dreaming. We are here ready to help you. Our step-by-step process is quick and easy. Most cars get an offer in just 90 seconds. To get your offer, click here! If you want the best offer for your car then there are a few things you should know. First and foremost, your car is losing value every day that you hold onto it. The longer you wait to make a decision, the more money you're going to lose when you sell. If your car is damaged and you're thinking, “I’ll just fix it up and get more money for it later,” forget it. Do some research on your vehicle before you open up that can of worms. Fixing your car can cost you more than what it’s worth, not to mention the hundreds of dollars you’ll be spending towing it around to shops for estimates and repairs. When you're prepared to sell, you want to make sure you have your ducks in a row. Every state has different requirements to transfer a title. You also want to prep your vehicle to sell it, whether it's damaged or not. Keep all original the parts on your car. 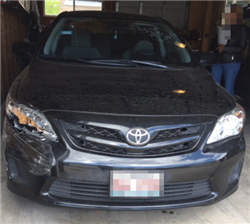 Having your car complete will always help you get the best offer possible, even if the part is damaged. A car buyer always wants to see a complete vehicle. For example, don’t take off any wheels, battery, or lights. Make sure you have the car keys. Whoever is buying your car needs to open it or at least try to crank it up. If no keys are present with the car, it will definitely affect your offer. Always make sure to have at least one key with your vehicle, whether it starts or not. Have your title and other documents ready. When a buyer makes an offer, you must be ready and accept. No matter what state you're in, a title is required. Illinois, for example, only needs you to have a title and valid ID to sell your car. Make sure you have all the documents required by your state before you try to sell. A buyer could get cold feet and you could lose out on a great deal if you’re not ready. Your time is valuable, so why waste it searching for shady buyers? These are buyers who spend all your time negotiating to get every penny out of the deal. Plus, the longer you wait to sell your car, the more money you're going to lose. When selling a car, you must act fast. Work with a buyer who understands the process and can deliver world-class customer service. Unlike our competitors, CarBrain goes the extra mile for its customers. We’ve developed our process with you in mind. We will give you a guaranteed offer that's not going to change after we’ve agreed on it. We know that your car doesn't always make it home, and that's not a problem for us. 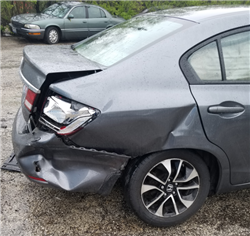 We will literally go that extra mile for you and pick up the vehicle whether it's at your place of work, a tow yard, a shop, a family member’s or friend’s house, or your home. With service all over Illinois, we’re the smart way to sell your car with only a 24 to 48 hours pick-up time. You can get started today. Submit your vehicle - just click here! 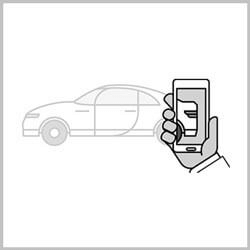 Submit your vehicle into our database with accurate information. Most vehicles will receive an instant offer. Unique cars might need some additional information so please have some pictures and a VIN number ready if needed. Rest assured you will receive a top market cash offer at the end of our process. Awesome you got an offer! And you want to accept and get paid. Simply show proof of ownership, make sure to have your title ready and we will assist you in getting your pick up scheduled and ready. Schedule a time and date with the tow company. You will meet with the driver at your vehicle's location and upon pick up the driver will deliver your payment,it’s that simple! Don't waste your time negotiating with dealers and private buyers. And definitely don't give away your car for free to any scrap yards. 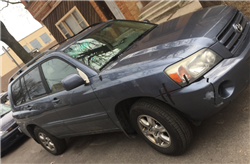 CarBrain can buy your car anywhere in Illinois! With service all throughout North America, we can pay you for your car and tow it for FREE! Our easy step-by-step process can get you cash offer for your car in just 90 seconds! See for yourself why CarBrain is the smart way to sell your car. Just submit your vehicle here and get started today. We provide free towing to any of our Illinois locations. What should you know before selling to a junkyard or private buyers in Illinois?